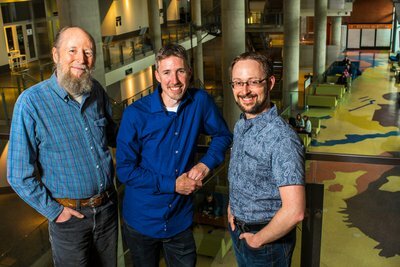 ‘DeepMind Alberta’ will be led by the pioneer of reinforcement learning - and DeepMind’s first ever advisor from back in 2010 - Rich Sutton, together with Michael Bowling and Patrick Pilarski. All three will maintain their professorships at UAlberta, and continue to teach and contribute to the academic community. They’ll be joined by Adam White, who will be returning to Canada to join the university as an adjunct professor, and six more researchers who co-authored the influential DeepStack paper published earlier this year in Science. The team will work on core scientific research. As well as continuing to contribute to the academic community through teaching and research, we intend to provide additional funding to support long-term AI programs at UAlberta. Our hope is that this collaboration will help turbo-charge Edmonton’s growth as a technology and research hub, attracting even more world-class AI researchers to the region and helping to keep them there too. Collaborating with UAlberta to open a lab feels like a natural extension of what we do here in London. Shane Legg and I met as postdocs at University College London’s (UCL) Gatsby unit where we first started working together, and we’ve worked hard to continue contributing to the academic ecosystem. We publish in major international journals, including three Nature papers in the past two years, while many of our team maintain professorships and supervise students at Cambridge, Oxford, Imperial College London as well as MIT and beyond. We even teach machine learning modules at UCL and Oxford to help advance the broader AI field beyond DeepMind. 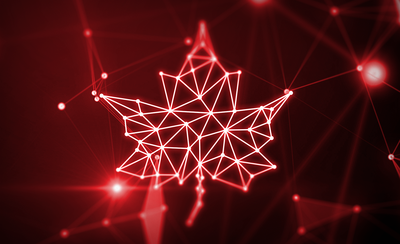 In the UK, we feel we’ve helped played an important role in encouraging and supporting the AI community to flourish - from start-ups and universities, to new organisations like the Turing Institute - and we hope that we can contribute to the success of Canada’s pioneering centres of research too. It’s an honour for us to work with Rich, Michael, Patrick and their team, together with the University of Alberta, and we look forward to many more scientific breakthroughs in the years ahead! Read more about the announcement from UAlberta here. "There is incredible alignment between DeepMind and the University of Alberta, both famed for their boundary-pushing research. Their complementary areas of expertise are now being combined through DeepMind Alberta, and I look forward to making new scientific breakthroughs together. I'm thrilled that we can do this while continuing to foster and support Edmonton's AI talent pipeline, and the AI community's leaders of tomorrow." "We are thrilled that DeepMind has chosen Edmonton as its base for global expansion. Having a research lab of this magnitude will strengthen Edmonton's reputation as an artificial intelligence hub and help build a network of ideas that will transform our world. DeepMind is defining what's possible with AI and we're proud to be part of that story."